Katie and Cassidy are both attorneys, and they meet as opposing counsel during a closing, but their similarities end right about there. Katie is a blonde-haired-blue-eyed embodiment of traditional Southern values; she’s a rule-follower who doesn’t even recognize Cassidy as female upon first sight. She’s freshly heartbroken, and on the rebound, and wears Dior shoes and little black dresses. Cassidy wears (perfectly tailored) men’s suits, has a snarky sidekick, and spends most of her free time at a lesbian bar called Metropolis, where she’s slept with most of the patrons. But when they run into each other again, on a street in the West Village, Cassidy’s invitation for a drink comes from a place of both habit and intrigue: Katie might be the ultimate “hard-to-get” girl. 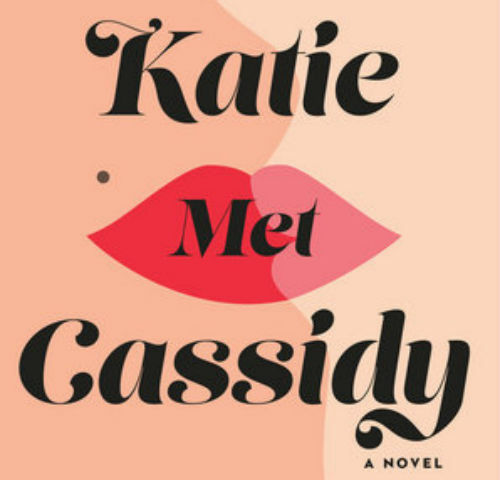 When Katie Met Cassidy follows standard rom-com tropes and standard gay-girl-meets-straight-girl tropes, but Perri’s clean writing style and superb wit carry the book beyond the usual and into something laugh-out-loud funny, sincere, and fresh. 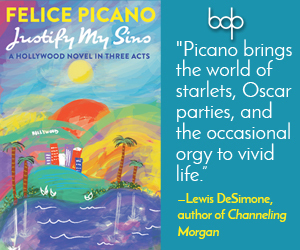 As Katie begins to question her sexuality and Cassidy begins to question her love-life habits, they reveal themselves as imperfect, fumbling people, and their real-ness gives the book what it needs to really shine. Take for example, a scene between the two on a weekend getaway to a horse ranch upstate. Cassidy has been mistaken for a man, and neither correct the unaware party. Later, Katie asks, “Does it bother you?… When people call you ‘sir’?” Cassidy replies, “Not really does it bother you?” Katie deflects the question with, “Do you wish you were a man?” When Cassidy ups the ante with “Would you rather I were a man?” Katie responds with, simply, “I don’t know.” The scene moves on in to tender territory, neither truly addressing the huge issues posed, leaving tension hanging in the air. There’s so much at stake for these two women, and yet they willingly put off dealing with the ramifications of their actions. Sounds like true love, right? Beyond its likeable protagonists, When Katie Met Cassidy draws a rich portrait of the lesbian community: these women are each other’s chosen family, and the Metropolis (fondly known as the Met) is their chosen meeting place—it may be a bar with a sticky floor and graffiti-covered bathroom stalls, but it is also a place where women-loving-women feel safe, and thus a place they can truly inhabit. Even Katie, who doesn’t know what the concept “femme” means, is welcomed with gusto upon her first visit. In an unexpected plot twist, the Met falls to corporate/gentrifying forces, throwing the entire community into a deep funk. 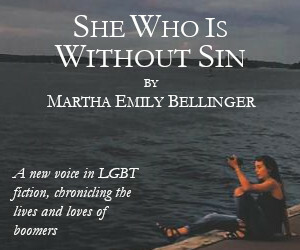 The deeper funk that visits Cassidy and Katie when the requisite miscommunication befalls them causes Cassidy to question her longstanding Lothario ways—it is in these moments, with the demise of her corner bar and the possibility of losing the girl she loves, that Cassidy decides the life she’s been living is unsustainable. She wants to grow up and be a committed adult—finally. Both Cassidy and Katie struggle to follow their heart’s desires into unexpected realms, and this parallel drives the novel toward its inevitable conclusion. The book leaves some ends untied: Katie’s coming-out letter to her mother is unanswered, and the Epilogue—which includes a cool twist on the old U-haul joke—comes only a few weeks after Cassidy brings home a stranger in a preemptive attempt to get over Katie. But this too feels like a smart choice on Perri’s part. Will Katie and Cassidy be together forever? There’s no way to know, but one can, as all the best romances elicit, hope.